Ways to deal with stress can be simple and easy to do. Management strategies against chronic and acute types of stress include saying no to anything negative around you and making a lean list of things to do. Remember you are not a superhero and nobody expects you to do everything. 1. Take a stand and learn to say no. Many people are not aware that saying no is one of the ways to deal with everyday stressors. Some think it's rude to say no. It's alright to say no. Taking on too many responsibilities that you can deal with effectively will lead to being stressed. Prevention of being stressed and management of stressors include knowing and setting your limits whether it concerns your personal or professional life. 2. Trim your daily to-do list. Do you love making a to-do list? I like doing one because it is one of the ways of organizing my daily tasks. If you're like me, scrutinize your list. How long is it? You are setting yourself up to be stressed if it’s too long. Besides, you can't handle everything on a very long list of tasks. Analyze your listed tasks and see what the musts are. Prioritize the most important ones you need to deal with today for effective management of tasks. Put the least important at the bottom or eliminate them totally from the list. Keep the list short. A good night’s sleep is one of the ways to deal with stress. Enough sleep helps your mind and body to be in top shape to deal with negative stressors. Lack of sleep can contribute to anxiety and can compromise your ability to deal with stress. A well-rested body maintains your emotional balance. It is one of the key ways to effective management of anxiety and worry. Some people have a hard time falling asleep. If you're one of those with sleeping problems, why not try listening to meditation music? I find meditation music particularly helpful because there are no lyrics. It's like a "white noise"; only better because it lulls you to deep slumber. Click here to download meditation music if you would like to try it. Having realistic expectations is one of the ways to handle stress. Don't aim to be perfect and don’t expect others to be because no one is perfect. Expecting perfection from yourself and from people around you can only add to your stress level. 5. Learn how to relax. You can’t be anxious and relaxed at the same time. Feeling anxious, ironically, is not just a feeling. It's actually your body's natural physical reaction. Based on the definition of what stress is, it’s one of the natural ways your body deal with a perceived threat. But your body also has a natural antidote for management of stressors called the relaxation response. It creates a sense of calmness and well-being. Ways to deal with stress are activities that can prompt the relaxation response. Examples are breathing exercises, listening to meditation music, reading a good book, spending time with a loved one, or taking a warm bath. Need some stress relief tips? Take care of yourself. Eat healthy food and do moderate but regular physical activity. A massage is also one of the ways to deal with leading causes of stress. See the different healthy eating plans to choose from. Experts from the American Psychological Association agree that regular exercise fuels the brain's stress buffers. One of the benefits of being active is it enhances your body’s ability for management of stress. How important is eating well during stressful situations? Your body needs more vitamins and minerals during times of stress. Eating well is one of the ways to deal with everyday stressors. It helps your body especially your immune system to get those vitamins and minerals to function at its best. Be sure to eat breakfast to jump start your day the right way. What if you don't eat healthy? 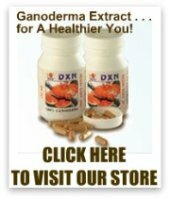 One of the ways to boost your immune system is with the right supplements such as Ganoderma Extract, Spirulina and vitamin c.
See what is Ganoderma and its effects on your immune system. See Spirulina and its positive side effects. See health benefits of Vitamin C.
Is your cup half full or half empty? Being positive can help you in the management and handling of even the most stressful circumstances. If you can’t change a stressful situation, you can still deal with it effectively by changing your expectations and attitude towards it. Ask yourself if the situation will matter a year from now and if it’s worth the anxiety and worry you are in. If it's not, then just deal with it. A hobby is one of the ways to deal with being stressed. It can help busy your mind and hands. You can take up yoga to relieve stress. Read here how yoga works for stress relief. 9. Know that you always have a choice. Management of your emotions is one of the ways to deal with everyday stressors. You can choose either to smile or to sulk. Your emotions are up to you. You can control them or you can let them control you. Remember that effects of stress on your health can be harmful. Your adrenal glands release hormones during stressful moments. Prolonged exposure to these hormones negatively impacts your immune system and encourages the development of cancer cells. 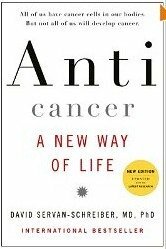 The negative effects of cortisol hormone make cancer prevention more difficult especially if you smoke and don't care about the dangers of smoking. Now that you have an idea of effective ways to deal with stress, start one today and be on the road of well-being.